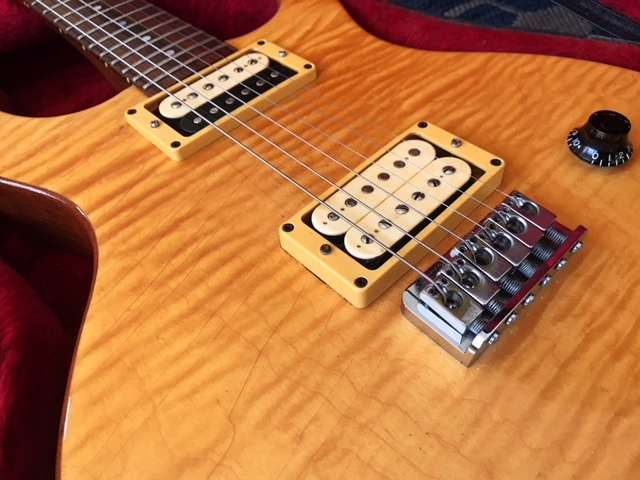 Selling my 1981 Hamer Special. 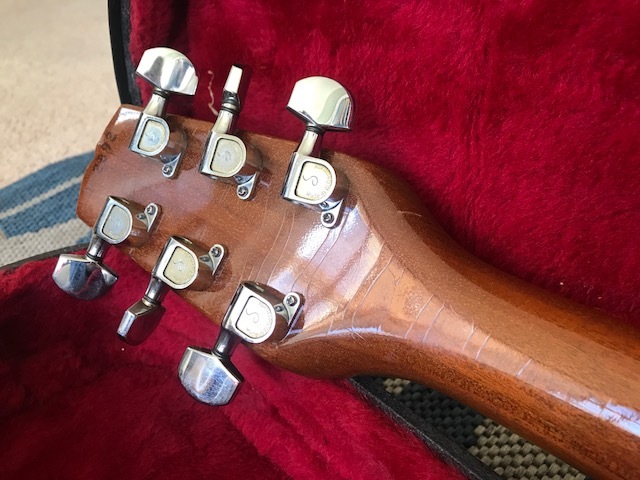 A gorgeous vintage rocker, this was made in the USA by Hamer when it was still a small boutique brand, focusing on building high-quality guitars to fill the void left by the big brands' drop in quality over the 1970s. Beautiful 'lemon' flamed maple top, mahogany back and neck. 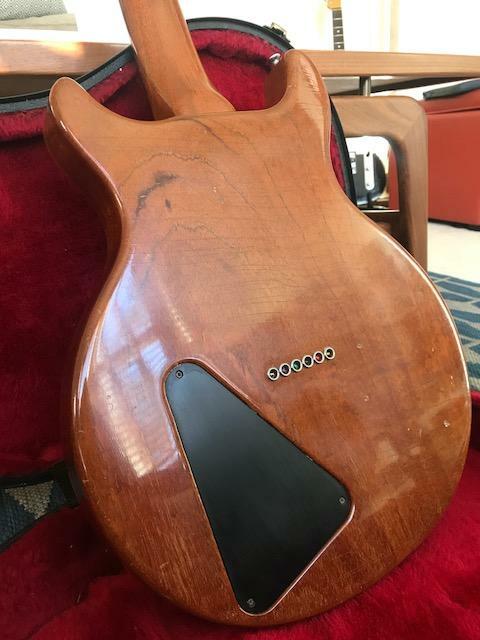 Being a nice vintage, this particular example has some gorgeous lacquer checking all over the body and neck - I have tried to capture this in the pictures but it's difficult to appreciate! Gives it a very real and authentic vintage vibe, far better than any 'relic' you'll get from the likes of Gibson! Has the original DiMarzio PAF pickups, and a 24.75" scale so feels like a Gibson. I'm after £1100 for this beauty, which can be collected from anywhere in or nearby London or Essex. No trades for now - I'm trying to cut down! 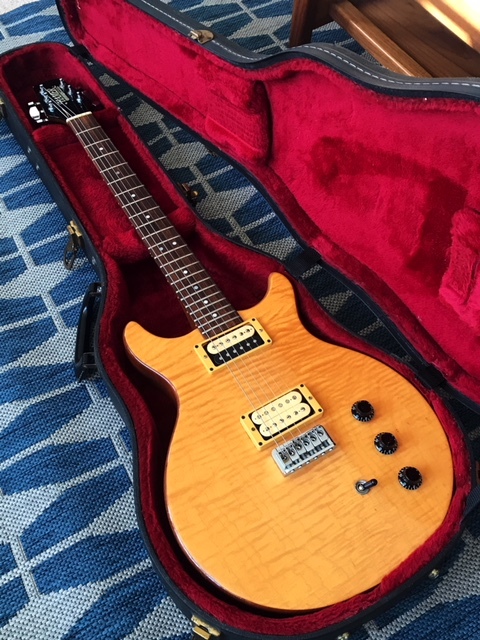 Absolutely stunning guitar, great price too. I really like the DiMarzio PAFs too, had them in an old LP Custom once. Absolutely wonderful! That’s a great guitar at a very, very nice price! I had one of these and a Sunburst from '79 ......personally I never fell in love with the Dimarzio PAFS but that's a very personal thing as I don't especially like most PAFS but the playability and the build quality are an exercise in perfection.....these were so far ahead of Gibson at the time and are probably THE Best BUILT GUITARS of the last 40 years. The big Brass (chromed) sound block bridge was a revelation at the time. I bought Dominic's 79 sunburst a couple of years ago, and he's right, these are stunning guitars. 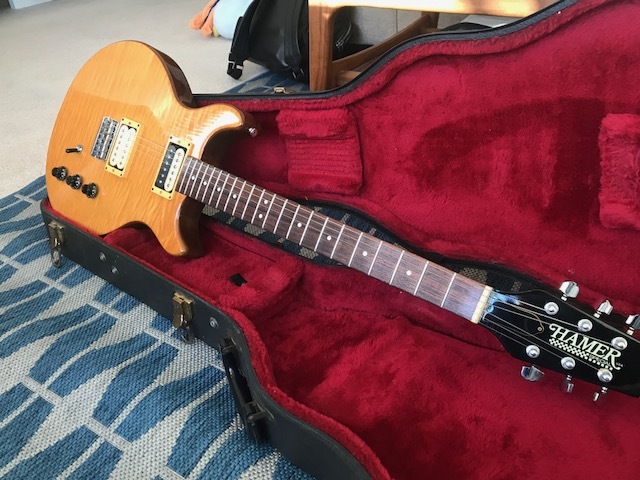 I agree with the o.p, I wouldn't swap mine for any custom shop LP. GLWTS. Nice. Glad to see you kept the original bridge, I foolishly put a Kahler on mine. If you were closer, chances are I'd come get it though! really like that especially as its a birthyear guitar for me. How has this not sold already? It's an absolute stunner! Is that the original Hamer case ? I’m going to try to keep tabs on where this one end up, I’d be there pronto but I’ve bought three USA Hamers in the last 6 months and have just secured a one off Hamer Custom order Which hasn’t been seen publicly very much... cleaned myself out pretty much! Massive Hamer fan here. Second only to BennyBoy from this parish - who was kind enough to sell me a 1980 Special which I still have - fabulous guitar! Somebody please buy this one before I allow myself to become (even more) tempted...!! Thanks for the comments guys! Sounds like I've underpriced it a bit. Ah well! No firm buyers as of yet.